Aztec Secret Indian Healing Clay is a great deep pore cleansing treatment at home. This mask is made from Death Valley’s, California sun-dried clay which is exposed to very high temperatures for up to six months. It is a wonderful product to remove and clean clogged pores and impurities on your skin. The use of clay masks can be dated to thousands of years and used by many different cultures when it came to cleaning the skin and keeping its natural beauty. Those with acne can benefit by unclogged pores and removal of blackheads. Those with acne scars can benefit by having a glowing smoother skin and those who just want to take care of their skin can benefit by getting a beautiful natural soft look. Basically, any skin type and condition can find great benefits from this product. This Bentonite clay works like a magnet which attracts toxins, impurities and heavy metals that are stuck on your skin created from either your own body or from the environment. Not only does this type of clay draw out these toxins it also provides a range of nutrients for your skin when applied. 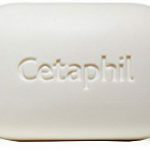 A study from Arizona State University talks about the healing effects of clay minerals on the skin when fighting infections, proving the effectiveness of this product and its benefits. Bentonite clay has a long rich history and its use has been well documented for years. Add that to the thousands of reviews and positive feedback on Amazon about this product and you can see this is something worth your time. There are no additives or fragrances, and it is 100% natural calcium bentonite clay. While it can be used with water it is highly recommended to use it with apple cider vinegar, many people seemed to have better results with vinegar and it makes sense since vinegar has other great acidic properties and apple cider vinegar makes it easier on the skin. Mix the clay with equal parts (tablespoon is perfect) apple cider vinegar or water or both. Use a plastic bowl and mixer (never metal), Stir into a paste. Add more clay or liquid as needed. Apply a thick amount on the face. Let it dry for 5 to 10 minutes if you have sensitive skin otherwise leave it for 15 to 20 minutes. You will feel a pulling, tingling, tightening sensation. Remove clay by washing it with warm water. You might notice some redness at first, but it will go away. Very important to note, when removing the clay do not let it go on the drain, use paper towels over the sink drain a bag or a metal mesh. This stuff gets heavy and if it dries on your drain it could clog it. Don’t hesitate to use it on other parts of your body, this stuff is wonderful just make sure you only use it on external body areas. While many use it twice a week, It is recommended to be used once a week due to the way it dries the skin after use. Because this clay mask will dry your skin I always recommend using the great moisturizer mentioned on the Red/Dry skin page. Make sure to use it afterwards. Check out the Indian Healing Clay over at Amazon, it is truly a wonderful product for your skin. It works, it feels great and it is so simple to use that it can be done in minutes (unless you’re planning on walking around trying to scare the neighborhood kids… don’t ask). This product brings benefits to those with acne, acne scars or simply people who want to have a better more beautiful glowing skin. If you have any questions or comments, don’t hesitate to write and I’m sure this product will help on your path to Beautiful Clear Skin. The skin, is our biggest organ, and the least taken care of. I am grateful, I was not allowed to wear stuff on my face growing up. No makeup until I was in my late teens. Being it was the 70’s bright blue was the in color. I was gifted with nice clear skin. My children on the other hand both had acne. One on the face the other the back. There are so many products out there that claim healing. I for one will be advocating for the Indian Healing Clay every time. It is a conundrum about how putting dirt on your face to clear dirt of your face really does work. Do you understand the science behind that? Completely agree, we have to take care of our skin, even those who were lucky enough to never suffer from acne or acne scars. There are many products that claim many things, which is why I made it my mission to inform people of the ones that truly work like this clay. You have an excellent question, I will update the post to mentioned this, but to give you a short answer now: Bentonite clay functions like a magnet for toxins, remember your face is full of dirt and toxins which are excreted from our body or are found in our environment, this clay attracts all these toxins like a magnet and when you wash it off it takes it with it, leaving you with a clean, smooth and dirt free skin. Thanks for reading. My face tends to be extremely dry when I get out of the shower. I do not know why but I think it is a problem others face as well. I think this would be the solution to my problem. I also have a break out of bumps on my face each month. So it could be a win win for me. Thanks and I have to try this. 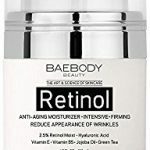 This product will most likely dry your face a bit, I recommend a nice moisturizer that you can find here, this product will certainly help you with your mild acne and clean your pores of any impurities, hope it helps, thanks for reading. I love this stuff! And we are almost out of the Indian healing clay. It gets really tight on your face! To the point where it almost gets stuck, it is a funny feeling. I never knew you weren’t supposed to let it go down the drain. The only way I could ever get it off was by hopping in the shower. Thanks for the tips! My pleasure, it is a very interesting feeling, really tightens your skin. Once the clay hardens it could definitely get stuck in the drain, so be careful, thanks for reading.